Uganda’s national boxing team (Bombers) Captain Ronald Sserugo. Competing at the All African games is a dream of most of the sportsmen on the African continent. Every four years, elite sportsmen converge to display their skills and talents in the various disciplines. In this regard, every edition of the games comes along with a particular fashion. 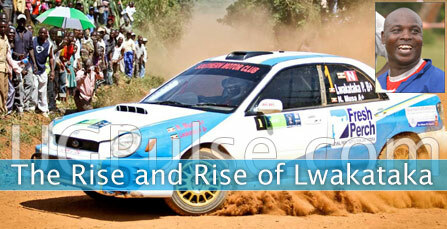 The 2011 edition in Maputo, Mozambique is no exception. Despite being ranked among one of the poorest countries on the globe, Mozambique has done everything possible within her means to ensure that the games leave a lasting impression as everything is said to be set. Many Sportsmen take the African games as a ladder to higher heights. Uganda’s national boxing team (Bombers) Captain Ronald Sserugo is no exception. 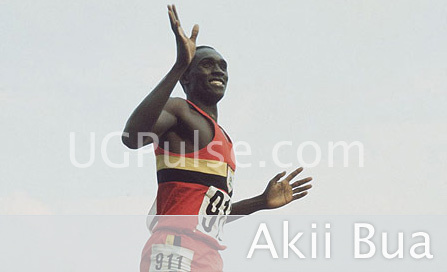 He describes the chance to compete at the all Africa games as a rare one in any one's career. 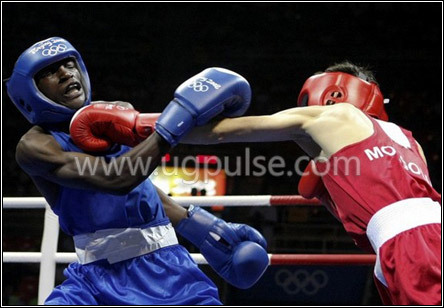 “Such chances to further ones’ careers are rare and when it comes, one has to utilize it efficiently to go to the next level,” says the 23 year old puglist who shoulders Uganda’s hope of any medal from boxing. Sserugo, will be making his second attempt in the games after his 2008 debut in the Algeria where he was stopped in the Quarter finals and he hopes to build from there and achieve something for Uganda. “The games will provide me a new experience, which I look forward to explore. In Algiers, I was still in experienced but this is the right time to do something. I was stopped in the quarter finals and I will pick from there,” he says. For long, Boxing and Athletics have been the most performing sports disciplines for Uganda internationally but considering the dirt surrounding the Uganda Amateur Boxing Federation, it is only on the mercy of the almighty that the country can reap any medal. For quite some time, the Boxing governing body has been experiencing adversarial relationship among its members. Split into two conflicting factions over power, this has greatly retarded the once popular sport. One faction is led by former professional boxer Godfrey Nyakana and another headed by Dr Ntege Ssengendo. The situation reached an alarming stage... to the extent that the Ugandan Government, through the Minister of Sports, had to intervene though all efforts ended in vain. This was before the International Boxing Association too, sent its Vice President for the same cause. Such conflicts have seen the national team fall victim of circumstances and consequently, the team has been accorded with ill preparations ahead of the game. 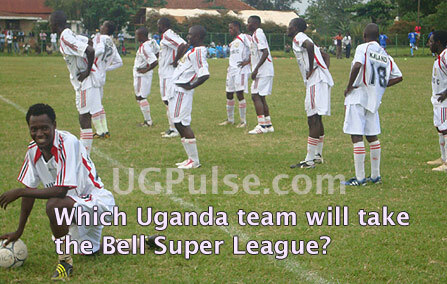 Nevertheless, Ugandans carry some hope in Sserugo whose talent is unquestionable at any given situation. One of the key opponents that Sserugo is likely to meet in the games is Tanzania’s Asumani Bilal who will be making his 4th appearance in the games. The two faced off in the Semi-finals of the East African Championship and the Tanzanian golden boy carried the day. However, it should be noted that since then a lot has changed in Sserugo’s career as he has gained more experience and technique. He is blessed to have passed through the hands of Cuban tactician Giminez Gonzalez. Gonzalez was once in charge of the Bombers between 2007 and 2009 before he threw in the towel due to poor remunerations from the Uganda Amateur Boxing Federation. Gonzalez is credited for having instilled modern boxing tactics in Sserugo. “I gained a lot of tactics from Coach Gonzalez both off ring and in the ring. He is an incredible trainer,” applauds Sserugo. Sserugo has passed through the ranks and it is time to reap from his patience and hard work. Serugo first hit the headlines in 2003 during the National Schools Championship while still at Old Kampala Secondary School. There was no looking back for the Light fly weight boxer as he out classed everybody in the national juniors in the following year. This was before winning the Mukwanga memorial Championship organized at Lugogo indoor stadium. The same year he emerged as a gold winner in the national championships. His sweat seems to have paid off as he was summoned for the national team that was preparing for the East African Military games under the reign of Gonzalez. Sserugo, never disappointed when he out punched everyone in his category to win a gold medal. He there after qualified for the All African Games in Algiers, 2008 where he lost in the Quarter finals. After the Algerian campaign, Sserugo did shift his attention to the Olympic games ( 2008) where things never went his way as he lost in the preliminary stages. As an amateur of concentration, prior to the Olympic games Sserugo was forced to cut his studies short as he applied for a dead year at Kyambogo University while pursuing a degree in Industrial Art and designing. The unceremonious departure of his seniors Sharif Bogere, Phillip Adyak and Light Welter boxer Edward Akola coupled with the self destruction of Bantam Weight Atanus Mugerwa, who were the leading crop of boxers then , did a disservice to Sserugo in terms of local competition to take him to another level. Their departure also meant that the national governing body had to build another team too amidst all the apparent administrative wrangles. The team preparing for the Maputo games comprises of ten pugilists but all eyes are on one man, Ronald Sserugo. It’s a matter of weeks as the games begin in Maputo from September 3rd-13th 2011 to ascertain whether Sserugo can defy the odds, live to the billing and win anything for Uganda. Uganda Kobs: Kasozi Ramathan, profiles some of the soccer players carrying Uganda’s cross to Maputo.